Personal Cities | Above all, make it personal. Where will your city be in five years? In twenty? How can you shape its future? Every city leader should find new collaborations to build its identity and an enduring, trusting connection to its community. How will your enterprise deliver solutions that truly make a city smarter? Your technologies are the engine of transformation, yet often solutions are singular, fragmented. The challenge for every business leader is to “think big” on behalf of the city. How will you assess your status as a smart city? The new metrics for smart cities will give you clarity about your progress and your priorities. The roadmap to faster, better decisions is the goal. See what is happening in cities across the US and what leadership Mayors are doing to address their most pressing problems. Cities are personal. Cities are about relationships. And the best, the smartest cities understand the power of connections to the people who live in their cities. At Personal Cities, we will work with you to answer these questions and deliver real value to your organization. Engage all of the stakeholders to understand their needs and priorities. Add thoughtful decisions about policy, investments and financing to promote job growth, economic development and a better quality of life. Combine new, transformative technologies to shape a region in significant ways. Strategic, with a bias toward action. A Personal Cities roadmap is often the first step. We are continually driven to build a vision for the future and then support the doing. Worldwide economic, social and environmental changes affect every aspect of our work—our global experience is a core competency and a source of inspiration. Politically aware and opportunistic on your behalf. Happy to challenge conventional wisdom and the “way things are done.” Known for seeing the opportunity and seizing it. Personal Cities was created to build relationships. We help cities and companies build trust toward an engagement that shapes a city’s future by fostering actions that define the quality of ideas, the benefits of innovation and the opportunities for all who live, work, play and visit the city. By design, Personal Cities works within the community ecosystem—with public sector and private sector leaders, with entrepreneurs and community advocates, with university researchers and inventors. Here is collaboration in action. We championed a new kind of collaboration with a transportation authority in the mid-Atlantic—we invited key decision-makers at the authority to join with top transportation technology companies—including entrepreneurs to a “do” session. Focused on key issues of safety, reliability and ridership, the result led to a new tactical plan to build trust and increase ridership. With a global trade organization, we crafted a roadmap for “smart city” action. Based on their international scope, the roadmap details the universal needs that every region around the globe requires to become prosperous—to reach the goals of sustainability and citizen happiness. In a Northeastern city we worked with a city mayor and the chief innovation officer to create a smart city committee, dedicated to breaking down the silos among departments. Monthly in-person meetings to share knowledge and common needs resulted in a new, holistic set of priorities—now being implemented. The CEO of a city design firm wanted to shape a new approach to helping cities thrive—to repurpose old technology into smart, beautiful devices that showcase the city’s identity and engage the entire community. Our strategic advice and counsel have helped to mobilize the firm toward new collaborations in cities across the nation. A holistic strategy is the foundation for smart decisions. “Big Picture” goals and objectives help leaders implement and measure smart city ideas. Without strategic guidance, “innovations” are often fragmented, failing the test of true smart city development. We operate based on high quality, trusted relationships. With that foundation, we will help you secure new business—in the public or private sector. Our relationships are at the heart of our success. Skilled as storytellers and media trainers, we provide simple, transformational coaching to help you tell your story. We are also narrative-driven, analytical speechwriters and dynamic speakers, and will speak on your behalf anywhere on the planet. Personal Cities and its partners are strategists and implementers. Equal parts entrepreneur, technologist and political scientist, our focus is on knowing and doing. Co-Founders, CEO and President, Joel Makower and Pete May, Santa Clara, California. Produced by the GreenBiz Group, VERGE is a global event series focusing on the technologies and systems that accelerate sustainability solutions across sectors in an interconnected world. VERGE emphasizes transformative, practical, scalable, solutions-oriented exchanges that open doors and accelerate buyer-seller transactions. Potential develops STARS, by providing practical life-long learning programs to graduates, executives and entrepreneurs. A pioneer in educational technology and a leading provider of innovative learning solutions across emerging markets, Potential.com empowers millions of individuals, and companies to perform at their very best.based in Dubai, United Arab Emirates. Cityzenith is provides the world’s leading data visualization platform software and applications for IoT and Smart Cities. Based in Chicago the core platform product, 5D Smart City, makes the massive amounts of open data, machine-to-machine, IoT, social media data produced by cities usable and useful to local governments, businesses, and citizens. Barcelona, Amsterdam, San Francisco, Chicago, London, and Singapore are among the early adopters of 5D Smart City. A national and international Smart Cities consultancy, built on start-up firms, Cactus and Bolt, Aalto Consultores will leverage important relationships at AMETIC and RECI in Spain. The Foundation is convening the Global Bureau, a coalition of supporters and brand partners who share a global perspective, aimed at creating a storytelling environment for the implementation and success of the UN’s Sustainable Development Goals. The Clearing offers a nontraditional approach to complex problem solving, empowering groups to take on transformation, adopt a shared perspective and a shared intent. This unique approach leads to coordinated action to achieve desired outcomes. A group of 34 city-university partnerships focused on bringing data, analytics and innovation to city government. The Network’s mission is to pair university researchers with city policymakers to undertake research, development and deployment of projects that improve our infrastructure, public services and environmental sustainability. Streetwyze is a new community engagement tool that revolutionizes the flow of information between people, places, policies and technology systems in ways that democratize data and combat discrimination and inequality. As a disruptive technology it helps us re-imagine the connection to communities. A new business accelerator that brings to live the most promising business ideas and companies to catalyze and rethink civil infrastructure innovation, and help meet the needs of the 21st century cities and their growing populations. Meeting of the Minds is a global knowledge sharing platform. Meeting of the Minds is dedicated to a singular proposition: bring together a carefully chosen set of key urban sustainability and technology stakeholders and gather them around a common platform in ways that help build lasting alliances. Their platform is a vital ingredient for smart, sustainable and equitable urban development strategies. The Future City Collaborative is an initiative of the United States Studies Centre at the University of Sydney with the primary role of promoting sustainable urban development by supporting city leaders with leadership and strategic management tools; creating a forum in which mayors can share ideas and information; and developing skills and knowledge in building sustainable cities.The Future Cities Collaborative brings together policy, practice and research to inform our city leaders into inspired action to build great cities. Vote And Video is unique engagement software that enables instant video communications. City officials, company executives, trade association leaders can quickly communicate their issues to a select audience and get immediate voice and video feedback as well as quantifiable data. Better than print or texting, VoteandVideo is the cutting edge of stakeholder engagement. The state-of-the-art technology builds true social inclusion and enables leaders to “see” the honest feedback from their constituents from their smart phone, all delivered to a private dashboard in real time. Fondazione Giacomo Brodolini is a private, not-for-profit foundation developing, applying and disseminating evidence based policy design, delivery and evaluation at all governance levels. FGB promotes dialogue and a continuous knowledge exchange bridging the academic and policymaking communities, governments, civil society and private sector. FGB is an active player providing technical support and services to foster economic development, social cohesion, employment and innovation. FGB promotes local development at an urban and rural level by setting up innovation hubs, enterprise accelerators, startup incubators. Swan Island Networks’ mission is to build agile, intelligent, high-trust information services to aid in the protection of people, assets, information and critical infrastructure. Swan Island Networks was founded in 2002 by experienced entrepreneurs, and has participated in contracts with numerous government agencies: the Department of Defense and the Department of Homeland Security, among others. In 2009, Swan Island Networks took its technologies, methodologies and extensive R&D to the private sector, launching TIES, the Trusted Information Exchange Services, used by over 250 large enterprises, 20% of Fortune 100 companies. CIVIQ Smartscapes designs and deploys high-performance public structures that integrate WiFi, mobile LTE and smart sensor technologies. Designed to work together, the structures create a seamless WiFi hotspot that spans large corridors of a city, while the built-in sensors provide valuable date cities need for monitoring traffic, weather, and air pollution. Charging stations let pedestrians power devices on the go. Together with our partners, we manage all aspects of the solution, including hardware and the seamless integration of software, advertising media and broadband internet. Inspire and reward action in your community. Social coin is the currency that inspires people to take action in resolving society’s most pressing problems. Social coins give governments and organizations the power to design and promote community initiatives with more impact. Our technology at Citibeats uses artificial intelligence to identify society’s most relevant concerns and motivates communities to solve these issues by rewarding those who take action. Kintechi is focused on delivering the ‘Smart to Future Cities’ market which the UK Government has sized at $400 billion. It is the largest market opportunity for vendors and equally the largest transformational opportunity for city regions to improve their competitiveness at a national and international level. Smart cities have passed the inflection point from visioning to implementation, but there are still three major challenges. The first is an identifiable client; the second is the smart policies needed to drive smart delivery; and the third is that the vendor community needs to work more closely together to develop the market by agreeing a scalable, open, interoperable platform on which city solutions can work. Ms. Baer is the President of Personal Cities, a smart city company dedicated to “imagining the city as it will be.” She works to enroll every stakeholder toward a shared sense of now—toward safe, prosperous, happy communities. She is a champion of creative collaboration between the public and private sector and has worked with city leaders, worldwide for over 20 years. Through stakeholder engagement, social inclusion and the acceleration of innovative technologies, Ms. Baer inspires coordinated action to make cities smarter. Ms. Baer has an established network of contacts in the United States and internationally, and a unique ability to create and maintain long-term relationships. As a public speaker, moderator and trainer, Ms. Baer is skilled at building rapport and communicating key messages. She is an effective advocate for strengthening a city’s image and character—engaging the community ecosystem to make every city more prosperous. As a business development professional Ms. Baer’s career has focused on the value of relationships and the ability to identify strategic opportunities to win business. Throughout her career she has worked to foster cooperation between the public and private sectors, helping elected officials, corporate executives and civic leaders. She has experience in the communications industry—telecommunication, wireless, Internet, broadcasting and cable—and has an extensive background in government affairs, homeland security, cyber security and public safety resilience. She is a VERGE Senior Advisor for Smart and Resilient Cities, a subsidiary of the Greenbiz Group, focused on the intersection of technology and sustainability. Ms. Baer has joined the Strategic Advisory Board for Cityzenith, providing the world’s leading data visualization platform software and applications for IoT and Smart Cities. Ms. Baer is a member of the Advisory Board for Nektria, a software and technology consulting firm focused on smart on- demand transportation solutions. As a consultant to the UN Foundation, Ms. Baer works to recruit support for the Foundation’s Global Bureau, a coalition of philanthropists and global brands that support the UN’s Sustainable Development Goals. She is an advisor to Streetwyze, a mobile platform designed to elevate community voices and build healthy, sustainable neighborhoods. Ms. Baer serves on the Board of Advisors for Ridge-Lane LP, whose mission is to spur economic development in cities, states and regions through real estate and private equity investments. Before launching Personal Cities, Ms. Baer served as Senior Director for Alliances at the Smart Cities Council. She was responsible for leading engagement with government and civic leaders in cities around the globe. She successfully led and MC’d over 10 Smart City Now events, showcasing the expertise of city and company leaders to transform cities. 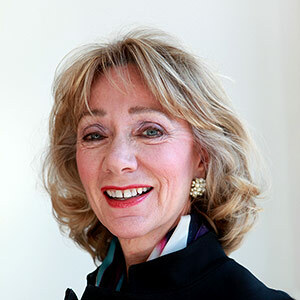 Prior to joining the Council, Ms. Baer was the Lead for Client Development at Bloomberg Government in Washington, DC and initiated high-level contacts across six industry sectors to support the 80-person sales team and win new business from major corporations, non-profits, state and federal government agencies and the U.S. Congress. Prior to joining Bloomberg, Ms. Baer was the Principal for Business Development at Ridge Global, Homeland Security Secretary Tom Ridge’s consulting firm. She secured new clients, directed client engagements and advanced the business, political and security interests of the firm’s clients. Ms. Baer directed the firm’s participation in an international consortium to capture business in Saudi Arabia. She was the principal lead for major clients in the wireless infrastructure, telecommunications and cyber security arenas. Ms. Baer directed External Affairs at Sprint/Nextel Communications. She developed the strategy and led the implementation of Nextel’s public sector external presence around the nation by forging relationships with federal, state and local government leaders. Responsible for raising awareness and building business among Governors, Mayors, Attorneys General and public safety and homeland security officials, Ms. Baer served as the Master of Ceremonies for Sprint Nextel Conferences in the top 50 markets across the nation. At Discovery Communications, Ms. Baer designed the marketing and promotions strategies to launch 11 websites in 6 languages for Discovery.com International. She has held senior positions at BellSouth International and Cox Communications. In 2012 Ms. Baer completed the Global Advanced Management Program at Georgetown University/Esade Business School in Madrid. She holds a Bachelor’s degree from the University of Missouri at Columbia and a MBA in Marketing from Georgia State University and American University in Washington, D.C. Ms. Baer lives in Georgetown in Washington, DC and is the mother of two children, Laura and Paul.